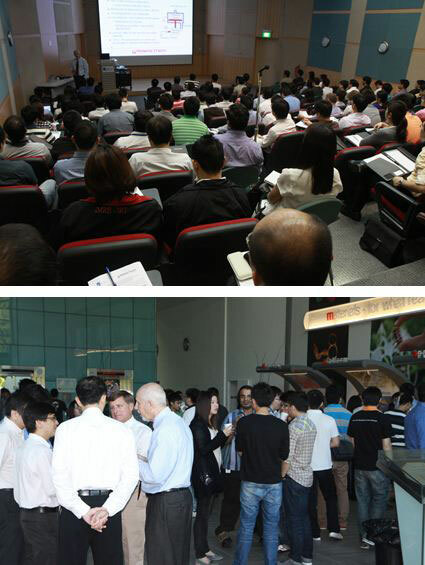 Singapore – 26th June, 2012 - Plasma-Therm and our Singapore representative, Dymek, are very appreciative of IMRE and A-Star for hosting the recent Plasma-Therm Technical Workshop on the 26th June 2012. With nearly 140 attendees from over 15 different organizations, the event provided a forum for networking and learning about plasma processing for etch and deposition applications. We are pleased to have had the opportunity to interact with such an excellent audience.